Let’s be honest – we all need OSRS Gold. Whether you’re out for that twisted bow, or even a dragon scimitar, a few extra GP wouldn’t be that bad. However, with a game like Runescape, and the plethora of things to do, finding a viable money-making method can be quite intimidating. Luckily, at PartyPeteShop, we’ve brought you our favorite consistent, relatively low-medium level money makers for Runescape. Try them all and find which one works for you! Requirements: Combat stats to kill multiple level 75s. Ask any slayer expert, Ankous are absolutely amazing money and exp for such an easy monster. For this Runescape money making method, you’ll simply need some extremely basic combat equipment to kill these level 75s (trust me – they’re really weak! ), and some food. Quick tip –since Ankous are weak to melee, we suggest bringing melee equipment. Once you’ve got everything, it’s time to head to Barbarian Village. More specifically, you’ll need to go down to the Stronghold of Security, using the hole as shown on the map. Navigating through the mazes of each level, you’ll find yourself on the bottom floor, the “Sepulchre of Death” floor. And as shown on the map, all you need to do is make your way to the purple dot, and there you go – you’ve found the Ankous! From there, it’s as simple as killing them, collecting a full inventory, heading back up to the surface, bank, and rinse and repeat! For even faster trips, we recommend teleport tablets. Here’s one for all you Runescape Free to Play players out there – Mining Iron Ore. For this relatively simple OSRS money making guide, you’ll just need the best pickaxe you can use (Just in case you forgot, use an Iron Pickaxe at level 1, Steel at level 6, Black at level 11, Mithril at level 21, Adamant at level 31, Rune at 41 and if you’ve got the money; Dragon at 61). Quick tip – if you’ve got the armor from Varrock Easy Diaries – wear it! It gives you a 10% chance to double up on your ores, which will add up over time. With your pickaxe, head over to the south-west Varrock mine, as shown on the map. From there, simply mine away at the iron rocks. Once you’ve accumulated a full inventory, simply head up north to the Varrock West bank, and keep going! In no time, you’ll have thousands of iron ore, and some mining levels as well! Ask any OSRS Player how much they use their teleport to house tablets – and it’ll amaze you! Therefore, it only makes sense to capitalize on this, and make some house teleport tablets of our own. Plus, this method is extremely AFK! 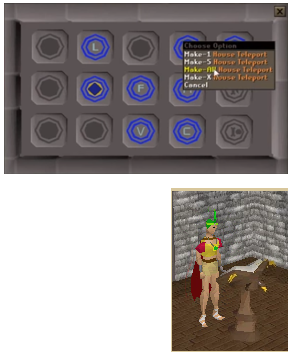 For this OSRS Money Making method, you’ll need to get either an amulet or glory or a ring dueling, an air staff, some soft clay (depending on the amount of teleport tablets you wish to make), law runes, earth runes, and a teleport to a house which has a mahogany eagle lectern in it. Also, if there’s a portal chamber in the house you’re using, that saves you an inventory spot. To start, with your items equipped and, in your inventory, fill up the rest of the spots in your inventory with soft clay. Next, head to your chosen house with the mahogany eagle lectern, select ‘Study Lectern,’ make your house tablets, and sit back and relax! The process is quite long, so make sure you have something to do on the side. Once they’ve all been made, teleport away to a bank, and do it all over again! Chaos Druids have always been the low-level secret to OSRS riches, ask any Runescape player! To kill these extremely easy level 13s, all you need is some very basic weaponry, and if you’ve got a looting bag, bring that as well. Yes, we will be in level 1-4 wilderness, which is quite safe, but still poses a danger, so don’t bring anything you wouldn’t want to lose! Personally, we recommend bringing just a glory and a scimitar, but that’s up to you. AFK, good money, good experience, relatively low requirements, what more could you ask for from an OSRS Money Making method? To string Yew Longbows, all you’ll need is a bunch of unstrung yew longbows, and the same amount of bow strings. With your unstrung yew longbows and bow strings banked, you’ll need to find a spot to spend the next few hours in (presuming you’ll be doing this method for a while). Your new spot, for efficiency sakes, must be 1 tile away from a bank, so you can have quick 1-click access to your bank. 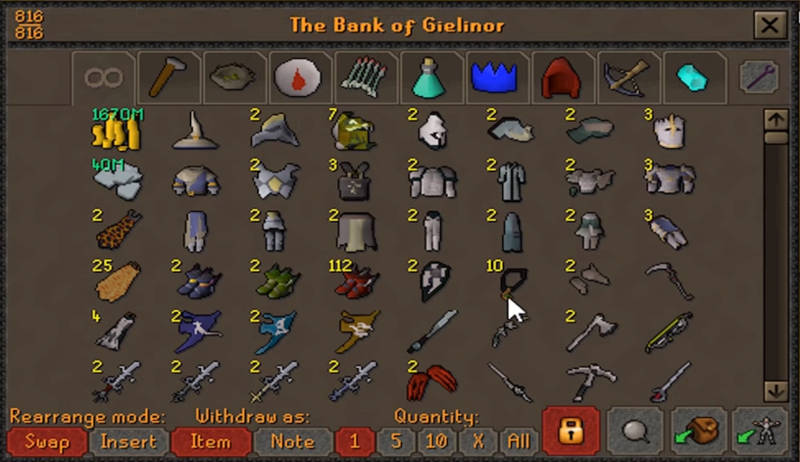 We recommend places such as the Grand Exchange in Varrock, so that you can sell your bows right after you make them all, but you can virtually go to any and all banks. In your spot, simply open up your bank, withdraw 14 unstrung yew longbows, and 14 bow strings. Use them on each other, and you’ll be brought with an interface, where you can simply select ‘Longbow,’ ‘Make all,’ and sit back and relax. It’s straightforward from here, just bank, and repeat! Oak planks are one of the most heavily used construction materials in Runescape, so it only makes sense that there’s a lot of money to be made making them. 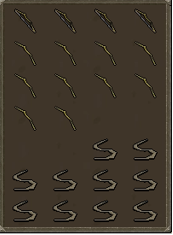 For this OSRS money making method, you’ll need coins (6500 for every willow log), some willow logs, oak logs (exactly 26 times the amount of willow logs), and some Rings of Dueling (1 Ring of Dueling for every 8 Willow Logs). With all your items, head over to Castle Wars (via your Ring of Dueling teleport). Withdraw from the bank, 26 oak logs, a willow log, and 6500 coins (for efficiency sake, we recommend bringing along your whole cash stack). From there, run north, out of castle wars, and to the Balloon, and travel to Varrock. Once you’re at Varrock, simply head a bit north, and you’ll be at the lumberyard, where you’ll find the Sawmill Operator. Talk to him and choose to ‘Buy Planks’. Once you’ve converted all your logs into planks, use your Ring of Dueling and head back to Castle Wars, starting the whole process all over again, until you’ve run out of oak logs. For quite a low magic requirement, charging air orbs is extremely worthwhile, considering how AFK it is. For this method, you’ll need an Amulet of Glory (with charges), an Air Staff, Unpowered Orbs (1 for each air orb you wish to make) and Cosmic Runes (3 for each air orb you wish to make). To start, with your charged Amulet of Glory and Air Staff, head over to the Edgeville bank. From there, withdraw 81 cosmic runes and 27 unpowered orbs from your bank (unnoted, of course). Now, simply head south to the Edgeville Dungeon entrance, and climb down the trapdoor. 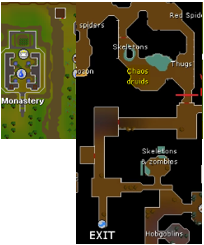 If you remember earlier from our Chaos Druid guide, you’ll know that to get to the Chaos Druids, you’ll need to head north, east, then north again to the Wilderness gate (scroll up to the map visual). We’ll be doing the same thing for charging air orbs; however, the route doesn’t stop at the Chaos Druids. 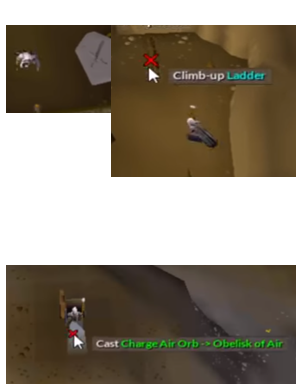 Once you’re at the Chaos Druids, you’ll need to head to the most North-West region of the small wilderness area, past the black demons, and you’ll find a ladder. From there, simply climb the ladder and you’ve reached the Air Obelisk. Now, to charge air orbs, you’ll need to head to your spell book. Towards the bottom right, you’ll see a Level 66 spell called ‘Charge Air Orb.’ And yes, you guessed it, that’s what we’ll be using. Select it, then select the Air Obelisk right next to your character. Now sit back and relax, as the game will do everything else for you. Once all your air orbs are made, simply teleport to Edgeville with your Amulet of Glory, bank, repeat and watch the Runescape GP flow in! Requirements: 78 Magic, Lunar Diplomacy and the Hard Fremennik Diaries. 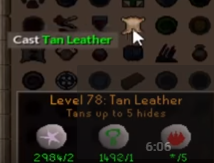 When we were noobs, we all used to tan leather at Al Kharid. Surprisingly, with this method, we’ll be going back to our roots, but this time – at a much greater gold per hour rate, and some good magic exp! For this Runescape money making method you’ll need a fire staff, astral runes (2 for every 5 leather you wish to make), nature runes (1 for every 5 leather you wish to make) and some blue dragonhides (same amount which you would like to tan into leather). With all your items banked, your lunar spell book activated, and your fire staff equipped, head to any bank. The Grand Exchange would be the most efficient, since you can quickly sell and buy Blue Dragon Leather and Blue Dragonhides once you’ve finished tanning all your hides. Requirements: 77 Runecrafting, 38 Mining, 38 Crafting and 100% Arceuus Favor. In OSRS, crafting Blood Runes gives a ridiculous amount of profit, considering how simple it is to make. Let’s run through the steps on how to craft blood runes and make bank in the process! For this method, you’ll need a chisel and any pickaxe you can use (scroll up to the ‘Mining Iron Ore’ guide, we went through the pickaxes you should be using for each mining level). For even more profits, we recommend weight-reducing gear, such as graceful armor. To start, head over to the Blood Altar, north of the Arceeus House Library in the Great Kourend. Doing this method, you should have 100% Arceeus favor, so we don’t have to run you through getting to the Arceeus house. 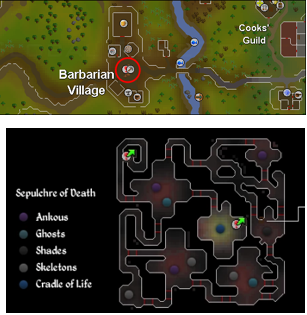 But for some reason you forgot, the Arceeus house is in the northern part of the Great Kourend. Keep in mind, you won’t need a talisman or tiara of any sorts to enter the blood altar. Before we actually craft the runes themselves, we’ll need to mine dense essence at the dense runestone mine, turn them into dark essence blocks at the dark altar, and chip them into dark essence fragments. And if that wasn’t tedious enough, you’ll need to do that whole process again. But trust us – it’s worth it! To mine dense essence, you’ll need to head to the dense runestone mine (with a chisel in your inventory), which is the blue highlighted area on the map. Once you’ve mined up a full inventory, you’ll need to head to the Dark Altar, just west of the mine. It’s labelled on your map, and we’ve also provided a visual. At the Dark Altar, simply click on it to Venerate your dense essence blocks into dark essence blocks. From here, it’s as simple as just using your chisel on the blocks to make dark essence fragments. Now, here’s the fun part – you’ll need to do all of that again, except the chiseling part! With your second stack of dark essence blocks, you’ll now need to take a relatively medium distance run to the Blood Altar. 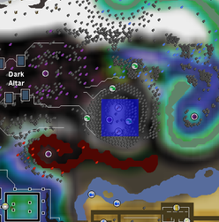 Check our visual if you’re unsure where the Blood Altar is. You’ve done the hard part, now it’s the part you’ve been waiting for. Simply hit ‘Bind’ on the Blood Altar, and you’ll have a stack of blood runes in your inventory. Now, just chisel the rest of your dark essence blocks into fragments and bind with the Blood Altar again for another stack of Blood Runes. Now, just rinse and repeat! Here we are, we’ve reached the pinnacle of our OSRS money making methods. And what no better way to end it off, then a classic favorite amongst Runescape players, Black Chinchompas! For this method, you’ll need some basic, cheap gear to defend against potential player killers, food to defend against player killers, 6 box traps (however, it’s always good to bring some spares), steel darts (or any type of ranged weapon you feel comfortable with), an Ava’s Accumulator (so you don’t lose most of your steel darts) and a charged Amulet of Glory. We usually go out to hunt Black Chinchompas, in the gear shown in the visual. With all your gear equipped, and you’re items in your inventory, it’s time to head out to the Wilderness! To get to the hunting spot, we’ll be taking the Edgeville Canoe. You’ll be able to find this canoe right next to the Grand Exchange, but just in case you didn’t, we provided you with a visual. With the canoe, use the ‘A Waka.’ You’ll be then brought just shy west of the Black Chins. It’s a simply eastwardly walk to get to the place located on our map. It’s time to make some money! To catch these black chinchompas, array your box traps like we have done in the visual (if you’ve only got 5 box traps, remove either the northwest box trap, or the northeast box trap). The rest is quite straightforward, simply collect your traps once they’ve caught a chinchompa or been dismantled. However, if you remember, we told you to bring a ranged weapon, such a steel dart. Well, they come in handy if the Chinchompas start to stray away, to hit them once to get them back to you. 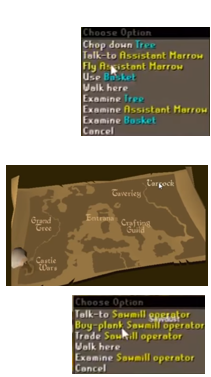 When you want to go back to the mainland, simply head south a few Wilderness levels, use your Amulet of Glory to head back to Edgeville, and start the whole process again! And with that, we conclude our OSRS Making Making methods. Make sure you try them all, and find which one works for you, and you’ll be on the steady road to Runescape riches!